State Road 836, also known as the Dolphin Expressway, currently ends on 137th Avenue in West Miami-Dade. But some residents and many environmental advocates are worried about the proposal's implications for the Everglades. Portions of the expressway would pass through wetlands that have historically been protected from significant development by the county's Urban Development Boundary. Critics of the 836 extension proposal say it could negatively impact Everglades restoration efforts needed to help protect Miami-Dade against sea-level rise. "The history of roads in South Florida is that development follows them," said Richard Grosso, an attorney for the Hold the Line Coalition -- a group of transportation and environment organizations that oppose the project. During a more than seven hour comment period preceding Wednesday's vote, Grosso told commissioners he fears "well-intentioned" county policies to limit development in wetland areas would not be enough to protect those areas if the extension is built. 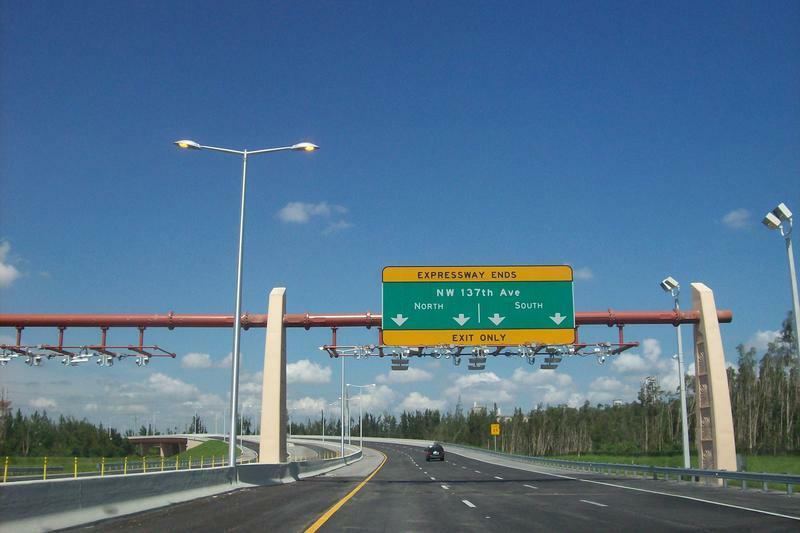 The proposal to extend State Road 836 has two possible variations. Miami-Dade County officials say the route will be finalized by the time the proposal goes before commissioners for a final vote. Critics also said they're worried building the extension would signal a lack of commitment by Miami-Dade to Everglades restoration -- which, they say, could cause the federal government to question future funding for restoration efforts. Scientists say Everglades restoration is a key piece of South Florida's effort to protect itself against sea-level rise: A more natural flow of fresh water across the ecosystem would exert outward pressure against rising seas. 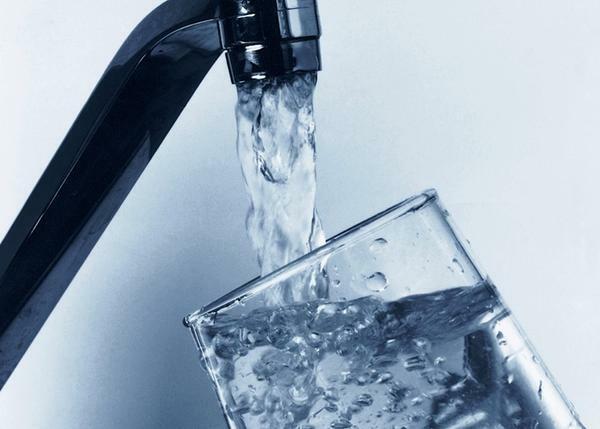 That could help protect from saltwater intrusion the aquifer that supplies some eight million people in South Florida with drinking water. 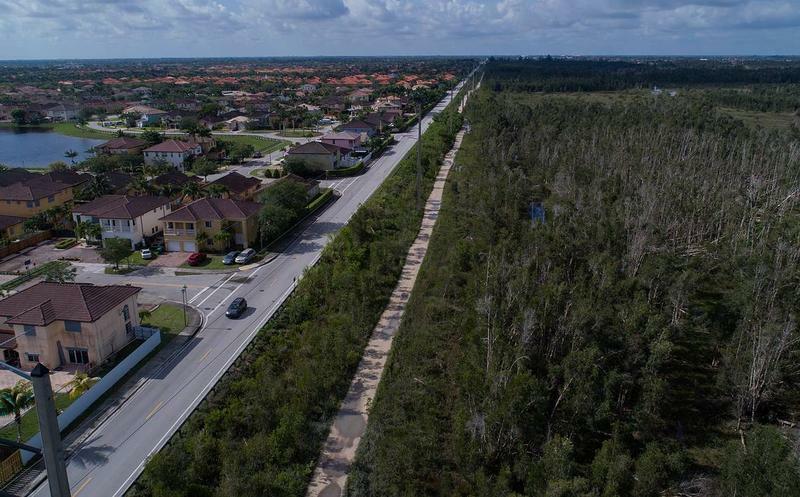 But the flip side of the road, say Mayor Carlos Gimenez and other proponents of the extension, is much-needed traffic relief for people in West Dade. "They can't afford, maybe, to live here in downtown Miami," Gimenez told commissioners. "They live out there because it's more affordable." Miami-Dade County transportation planners want to extend State Road 836 beyond the urban boundary shown here along Southwest 157th Avenue. 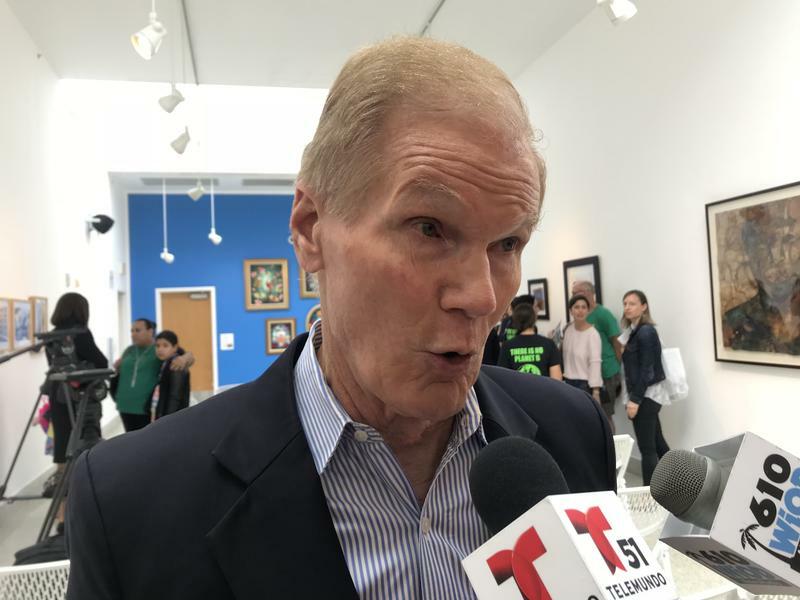 "I would never propose a project that I thought was going to lead to more development,” said Gimenez. Commissioner Daniella Levine Cava, who along with Commissioner Xavier Suarez voted against the proposal, said she thinks more development would be inevitable. "I'm concerned it will be a bait and switch," she said. "Developers are already waiting to push new development. I've spoken to some of them." Other critics pointed out that by building the extension, Miami-Dade would make driving easier -- potentially countering efforts to reduce carbon dioxide emissions, global warming and the melting of polar ice that's causing seas to rise. Even if the entire county stopped using cars tomorrow, ice would continue to melt and seas would continue to rise at the same rate. But still, said Grosso, the attorney, Miami-Dade needs to show leadership on the issue of sea-level rise given the threat it poses to South Florida's economy and way of life. "This county has more at stake and to lose because of the climate problem than any other place in the country," he said. "You're at this critical time where we either say, 'We give up, and we're not going to change quickly, like we know we have to, or we are going to pivot and do all the things experts are telling us to do.'" 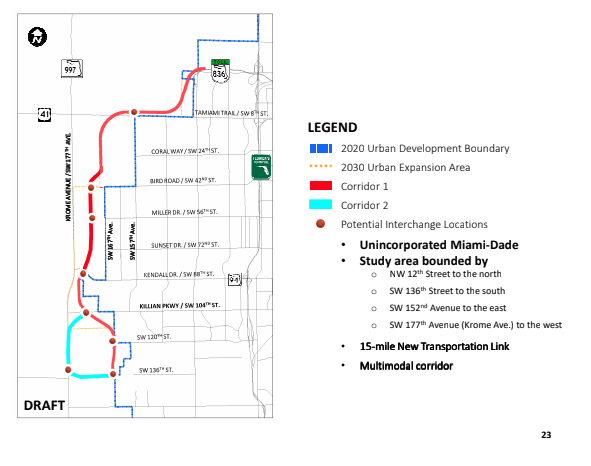 Read more: Does Miami-Dade's 836 Expressway Proposal Fit Into The Regional Climate Plan? Many people and groups opposed to the extension say they'd like commissioners to look at public transit solutions to the traffic in West Dade -- and beyond. Gimenez said building the extension does not mean the county will stop looking at public transit options. "We can walk and chew gum at the same time," he said. "We can build this road to give people in West Dade and South Dade the relief that they need right now, incorporate mass transit and continue to work on the SMART plan" -- the county's effort to develop rapid transit solutions along six high-traffic corridors. "We need to look for all different options." After the extension plan is reviewed by state officials, Miami-Dade commissioners will vote on whether to give the proposal final approval. Sen. Bill Nelson Says Solar Panels Can Fix Sea-Level Rise. It's More Nuanced Than That. Solar panels are not going to fix sea-level rise. They're an energy source that does not release carbon into the atmosphere. So, switching to solar panels will limit the carbon in the Earth's atmosphere in the future. 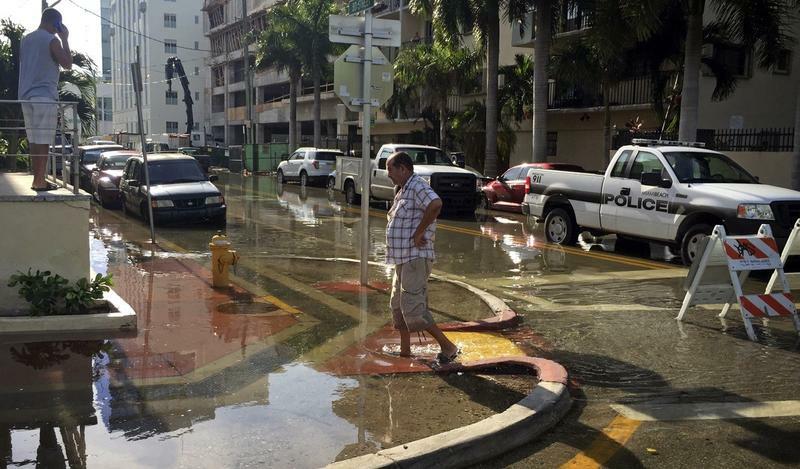 That could help prevent sea-level rise from getting worse. But solar panels do not take out the carbon that’s already there — the carbon that's already begun to cause global warming and rising seas. At a roundtable in Miami’s Little Haiti neighborhood on Wednesday, U.S. Senator Bill Nelson got that fact wrong.